One of the unseemly side affects of having a spidered blog, is that you will, without question, get comment spam. That means that your lovely blog will get all sorts of comments — added by robots and human idiots — that have nothing to do with your posts, but are only left so that you can pass your ranking to their (generally questionable) sites. To combat this, Google implemented a “nofollow” tag, which WordPress added as the default. That means that your linked comments on other blogs (both spammy and legitimate) don’t give your site any Google juice. Unfortunately, this implementation hasn’t seemed to deter spammers at all (robots and idiots probably haven’t figured out what nofollow means), but it has discouraged real bloggers from commenting as often as they might. There is a movement underway to remove the nofollow tag. You can make your blog a “dofollow” blog easily with a simple, free plugin. There are numerous plugins you can choose from, but my favorite is NoFollow Case by Case. Step by step directions to install it in just a few minutes are below. Click on Plugins>Add New in the left navbar. Type NoFollow Case by Case in the search box. Click Search Plugins. Click on Install on the right side of that plugin row. Click Install Now on the popup dialogue box. 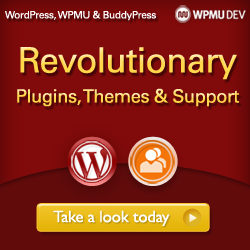 After the plugin is successfully uploaded, click on Activate Plugin. The plugin will leave the link intact, but will add nofollow to it. Now you can join the growing number of blogs that are happy to give link juice to those who comment. Our own blogs are all dofollow blogs. We encourage you to follow the trend! If you do, you can submit your blog information to the DoFollow Blog Directory & Resources and get a link back. I use the “DoFollow” plug-in, but I like that dontfollow feature that you can use to automatically not follow, you can also just manually add rel=”nofollow” to a link code, and do it the same way, in case the plug-in loses support or you want to do it manually in the HTML editor of your blog post. .-= Dragon Blogger´s last blog ..Apple iPad Releases in March =-. Absolutely. Both plugins have five-star ratings and DoFollow has been downloaded significantly more, so I’d say the track record is better. For beginning bloggers, however, it’s probably easier to remember the NoFollow Case by Case nofollow code. But if adding a bigger snippet of code isn’t a problem, then I’d probably go with DoFollow. Thanks for your addition, Dragon Blogger. Nice “how to” I did one also this week for my post. Sorry about the confusion the other week on the word challenge. .-= Jared P Little´s last blog ..Blogging Tips – Wordpress Backup DB Plug-in =-. Hey, Jared, no problem at all. Thanks for stopping by! Well, nice idea to get our blog dofollow-enabled as there are more comments and traffic too. However, I am concerned about Google ideas on this issue. What do you think? .-= Tinh´s last blog ..How To Show Drop Caps Automatically in Thesis Theme =-. .-= Dana @ Blogging Update´s last blog ..Effective Way to Learn From Favorite Blogs =-. Alright I’m on the fence here. I’m a fan of do follow but I really do think it encourages really crappy comments and the sad part is it’s from real people. All my blogs are do follow and so is blog engage our social community. I don’t think I will ever change back to NO Follow unless things continue to degrade and become worse. Like you said already the comments and spammers don’t stop even if you are no follow so why bother anyways right? I forget the plugin I use I think it’s named Do Follow or something like that. Thanks for participating in the word challenge Alison! p.s I changed all your blogengage account names and guess what… your karma also got updated! .-= bbrian017´s last blog ..Why I’m So Passionate About Blogs and Blogging =-. Certainly true, Brian. But I already get so much spam that a few crappy comments are manageable. If you do turn off the dofollow some day, you’ll have to advertise the fact to have any affect on the crappers. And hope they see the announcement. Thanks so much for changing my username. Dana, thanks for stopping by! Tinh, you keep getting caught in the spam filter! What particular position of Google concerns you? Hey Alison, The plugin I’m using at is called Follow My Links. Have you tried it before? I’m getting the weirdest spam ever but Akismet is doing a great job. I agree that this spam has to be coming from humans not bots. .-= My Momma Drama´s last blog ..Wish me luck… Zumba tonight! =-. Glad it could be of help! Let me know how it goes. I think that making my blog do-follow has really been the best decisions I could have made. It really attracts a lot of quality commenters which is a win win for both sides and contrary to popular belief, not stupid spammers, which come either way. From what I understand, No-Follow does NOT tell Google to ignore links. Google will visit every link listed on a web page whether it’s No-Follow or Do-Follow. .-= Keller Hawthorne´s last blog ..Selling Advertising Space Part 5: How to Convince Advertisers to Buy Your Space =-. I’ve edited the article to reflect that. Thanks for the clarification. It’s crazy to see how spammers are taken over the Internet. I got tons and tons of comments everyday, but they all garbage. Good thing now, I activate my “Akismet” plugin so I could breathe much better. This plugin eliminate at least 90% of junk comments for me. Since I have more control over those Spammers, I think it’s time to install the “NoFollow Case by Case” this time. The funny thing is, I just found your comment in the spam folder! No links in your text, but you obviously didn’t use a name, so it looks like spam to Akismet. I find Akismet works well, too. Thank you for this useful idea. I want to install comment Luv- keyword- Luv both plug-in in my blog because many blogger they add this plug-in to protect there blog against spam. I think this is the best option for making quality blog. thanks keyword luv is great plugin for bloggers for comment on site , commentator, they are great plug ins and thats how I found your site. Thanks for the blog. I ran into this with a friend that started a blog and wanted guest bloggers and people to make comments, but would not get rid of the nofollow. thanks i like “DoFollow” plug-in so much the information its very useful for me . We’re considering making the plunge to dofollow on our business blog. For anyone that’s actually made the switch, how much of a hassle has it been? Obviously there has to be more spam to wade through, and you don’t want to just approve every comment that seems valid since it might be to a site that google doesn’t care for and affect your own page rank. So I’m curious how this has worked out for those that have made the switch? Rich, I have not had any more spam. I simply use Akismet and then make sure that any comments from NEW commenters (as determined by WordPress through an ISP match) are moderated — meaning they aren’t posted until approved. Lalit, what measures did you use to determine that the comments are still nofollow? good post and good information for wordpress beginner. I had the NFCBC plugin installed for a few months, but removed it now. I just don’t have the time to moderate all those stupid comments from spammers. Also, I didn’t like the fact that the plugin adds ‘/dontfollow’ at the end of every url, which makes it look like an invalid link to Google spiders. Not sure how it affects my ranking but I’m not a fan of it. Are there any dofollow plugins that don’t add anything at the end of the url? There are a number of ways to limit spam, although this has become very difficult to avoid. It seems that spammers are using more clever tricks. Installing Do-Follow plug in on the blog is really a good idea. Coz it drive traffic & Comments that update your post. Thank a lot. I have 2 blogs,one at blogspot.com and one at wordpress and I wanted to make it do-follow so more readers could get to me. This post helped me a lot.